I love these denim heels. 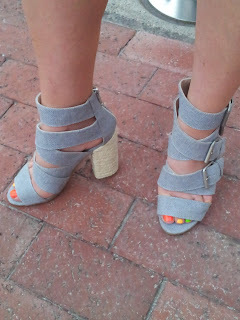 They wrap around with buckles and have a raffia heels... mega comfy and great for summer outfits. They are last season from Topshop and I bought them in the sale for £7. Don't you just love a £7 Topshop shoe?? !